Still Wrapping Fittings By Hand? 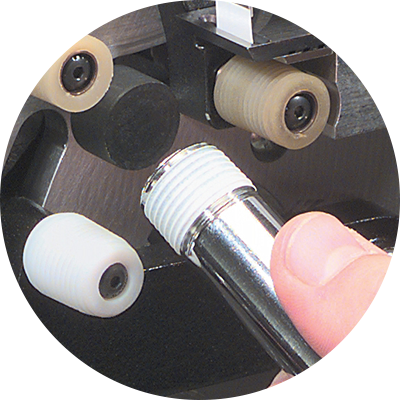 Save up to 500% on your taping costs with Thred Taper automatic PTFE tape machine. Depended on by thousands of companies worldwide for over 50 years. Let us help you transform your operations with Thred Taper. Wrap as many in an hour that a person can complete in a day. 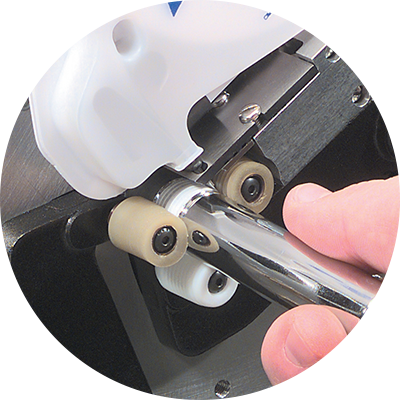 Increases efficiency and reduces labor costs by wrapping parts in just a few seconds. Save as much as 500% on your taping costs. Tape dispenser reduces tape usage and waste by using the proper amount of PTFE tape and controlling the number of wraps. Ensures superior bond which will not unwrap during storage or shipping. Eliminates reverse wrapping, a common cause of leaks with hand-wrapped fittings. Carefully place the fitting onto The Thred Taper applicator. 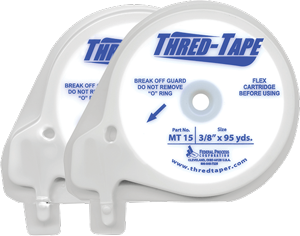 Thred Taper will wrap the fitting with the right amount of PTFE tape in about 3 seconds. Dependable, leak-free service! The fitting is ready for use. 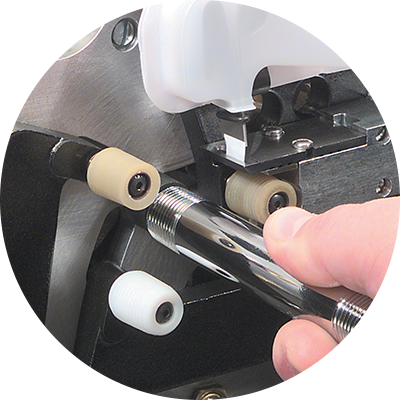 If you’re currently wrapping threaded parts with PTFE tape by hand or using messy liquid pipe sealant, Thred Taper will save you time, money, and improve the quality of your work. Need PTFE Thred Tape Refills? Looking for Pre-Applied Liquid Sealants? Looking for Penetrants, Lubricants or Liquid Thread Sealants?